Having seen it, I would neither advise others to see it nor discourage them. If you want to enjoy cheap laughs at the expense of the minions of scientism (a perfectly respectable form of entertainment in my view), you should see it. If you mainly want to get some clarity on the crazy debate surrounding Darwinism, don’t. I intend to begin looking into some of the specifics of Darwinian evolution, along with the traditional Catholic view of the matter, this summer when I have some more time. In the meantime, check out Clara's post for a good analysis of this controversial film. The Cornell Society for a Good Time can always be found linked up on the sidebar. As many of you recall, my report on the National Catholic Youth Conference in November, 2007 created quite a stir on the Net and got this blog about 10,000 hits in a week. At that time, I tried desperately to find some video of this event (known as NCYC) to put up on the blog, but it was so soon after the fact that none was available. But, I knew that if I waited a few months, stuff would start to trickle out, and so it has. Here is a video of several snippits of NCYC 2007 in Columbus, Ohio, brought to my attention by blogger Zach (thanks! ); I will not make any comment on this because there is so much that could be said. Just watch and leave your comments in the comment box if you want. Here are two videos of two different songs performed at NCYC, which emcee Steve Angrisano ignorantly described as being sung in the "African language," as if there were only one in Africa! The first was from day two, the second is "Nza mu ran za" which was a kind of theme song that was played every time the kids were supposed to pray. In some sense, the essence of Traditionalism in the Catholic Church today completely hinges on the position one takes towards the Second Vatican Council. If there had not been a Second Vatican Council, the label "Traditionalist Catholic" would be redundant, because (presumably) we would still be continuing on the course charted by centuries of saints and doctors and simply to be Catholic at all would be to be a Traditionalist. After Vatican II, this heritage disappears, and exactly what role the Council played in this disappearance defines where one falls on the spectrum of traditionalism. 1) Spirit of the Council: The Council was inspired by the Holy Spirit to usher in a new age of freedom from old contraints, out-moded moralities and dusty scholastic doctrines. The Council allowed us to rethink who we are as Catholics and create our Church anew, unencumbered by the reactionary baggage of past centuries. Everything is open to revision: liturgy, doctrine, morals. After all, man and culture evolve, and so must the Church. Anything is permissible if done in this spirit. 2) True Implementation: The Council was a good idea, and the Church was in dire need of reform in the 1960's. 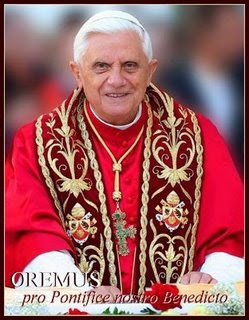 The documents and decisions of Vatican II themselves are sound and good, some of the most profound things ever to come out of ther Magisterium. However, after the Council was over, unscrupulous persons hijacked the implementation of the Council and twisted the documents to their own end, winding up with a reform quite different from the one envisioned by the Council Fathers and one detrimental to the Church. What is needed is a true implementation of the Council, going back to the documents themselves. 3) Bad Idea: The Council, while being a validly convoked ecumenical council, was a bad idea and was unneccesary. The Church was doing fine until the Council came along. Not only were the documents and decrees of the Council hijacked in their implementation after the Council ended, but the Council itself, in its convocation, deliberations, statements and decrees, was run by liberals and heretics through and through. Thus, not just the effects of the Council, but the documents and decisions of the Council itself are flawed, ambiguous or just plain stupid. Therefore, it will not help us to "go back to the documents." What is needed is not a true implementation of the Council, but a return to Catholic Tradition as it stood before the Council, and an interpretation of all Council documents in light of that Tradition. 4) No True Council: The Council was not a true Council. It was convoked illicitly by a pope who was a heretic and who thus could not convene a council. Its decrees are not binding; in fact, they are filled with heresy and contradict the Church's perennial Tradition. Now, we can easily recognize in position 1 ("Spirit of the Council") the modernist, liberal interpretation of Vatican II that we all despise so much and that for many of us is the actual cause of our Traditionalism. Position 2 ("True Implementation") is the position taken by our conservative friends in the Church. This position appears strong because it upholds orthodoxy and acknowledges the torrent of abuses that occurred after the Council. However, it puts itself between a rock and a hard place by attempting to divorce these abuses from the Council itself. This position commits the conservative to strike out at abuse but to stalwartly defend the Council which makes those abuses possible. This is the position I held for many years. What are some things that go along with this position? For one, I committed myself to defending every aspect of every document the Church issued out of the Council. I had to force myself to believe that Gaudium et Spes was a profound and enlightening document, that Dignitatis Humanae was perfectly keeping with the evangelical spirit and that Sacrosanctum Concilium was a great idea. These documents were sacred and inviolable: only their implementation was faulty. But why was the implementation so universally faulty? In the education courses I take at my University, they teach us that if a student gets a question wrong on his test, he may not have understood the material. But if your entire class gets the same question wrong, then there is probably something wrong with the question itself. If it is only a problem of implementation, how is it that everybody gets it wrong? Could it be because the documents themselves are ambiguous and lend themselves to misinterpretation? If so, could it be that they are this way on purpose? This also commits one to the notion that the Council itself was a good idea or even that it was inspired by the Holy Spirit. Maintaining everything the Church believes about ecumenical councils, nowhere are we constrained to believe that the calling of any given council was prudent, or that God wanted it at that time and in that way. Whether or not the Holy Spirit wanted the Council, we cannot say, but we can say that the Church most emphatically did not need an ecumenical council in 1962. When a conservative says that the Church was in need of reform and you ask, "Why? What was wrong? ", they will inevitably say some vague jargon about the pre-V2 Church being too "impersonal"; perhaps they will repeat the same things about old ladies mumbling rosaries and all that. These are not real critiques, just misunderstandings or matters of taste: hardly material that needed a Council to deal with! I take position 3 ("Bad Idea"), that the Council, while being a true Council whose documents are legitimate decrees of the Church Universal, was nevertheless a bad idea, and that these documents themselves are ambiguous, confusing, often shallow (but not errant or heretical); furthermore, I maintain that they were rendered this way on purpose by theological liberals for the exact purpose of hijacking the Church. 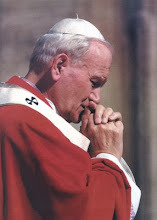 The difference between a conservative and a Traditionalist is simply this: for the former, the hijcaking after the Council is the cause of our current woes; for the Trad, the post-Conciliar hijacking is merely a consequent of the Council itself, which is the source of these troubles. If the difference between the True Implementation position and the Bad Idea position is the difference between a conservative and a Traditionalist, then the difference between the Bad Idea position and position 4 ("No True Council") is the difference between a Traditionalist and a Sedevecantist or schismatic-Traditionalist. I once defended the Council and tried hard to persuade my mind that the Church was really better off now than in 1962. I tried to convince myself that the emperor was wearning glorious clothes, that I was basking in the new springtime of the Church and reaping the rich fruits of the Council. I firmly maintain that Vatican II was a true Council, and that whatever the Council declared must in some way be the truth. But that doesn't mean the truth is spoken clearly, or in the right way, or in the right time, or by the right mouths, or that it is interpreted correctly after the fact, or that it is seen in context of a larger tradition. And this is the source of so much criticism. 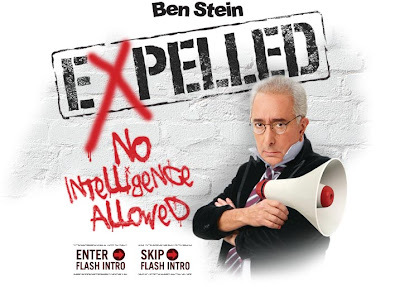 Yesterday I went and saw Ben Stein's documentary on Intelligent Design in academia, "Expelled: No Intelligence Allowed." I know many Catholics have shown interest in this film (it has been advertised on New Advent for the past several weeks) and it is especially pertinent because evolution is something Catholics are horridly confused on. This movie is quite excellent and I can highly recommend it. It's only short coming is that it does not go far enough in debunking Darwin. The first half of the film consists of interviews with professors who were dismissed from their jobs for mentioning Intelligent Design. These were all high ranking and prominent doctors with excellent credentials; one who was interviewed, a Dr. Berlinski, had taught at Princeton, Stanford and many other of the most prestigous schools in the country. Many of them themselves had doctorates from Princeton, Oxford or Cambridge. All of the persons interviewed were fired for inquiring into ID. It is important to point out that they did not teach ID or expound it, but merely mentioned it as an existing hypothesis. The first doctor interviewd, Dr. Richard Sternberg, was fired simply because he reprinted an article from somebody else who mentioned Intelligent Design. These interviews revealed that a considerable degree of academic censorship exists within academia, something anybody on my blog should already know. 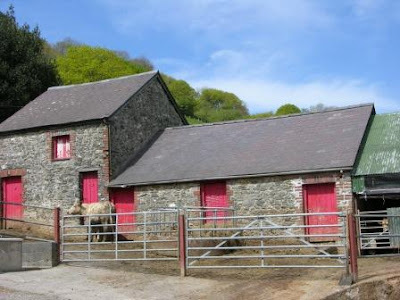 But it is nice to see third party evidence confirming your views! Ben Stein next examines the ethical implications of Darwinism in the second half of the movie, drawing an excellent and relevant connection between Natural Selection and Nazism, and demonstrating that Hitler and the Nazis were very much influenced by Darwin. Nazism is Darwinism followed to its logical conclusion, so the film says. Here Stein does an excellent service to all Americans when the film goes from Nazism right to a shot of a Planned Parenthood magazine. The whole sordid history of Margaret Sanger is exposed, with its eugenic and racist program, as well as its Darwinist origins, something Americans desperately need to know about. Interspersed throughout the movie are interviews with several prominent atheists, like Richard Dawkins. It is amusing to see the other hypotheses they put forward to Ben Stein's simple question of how nature could, on its own, make the ontological leap from non-life to life. More than one said they thought that aliens could have "planted" life on earth. Another evolutionist thought that life originated on the backs of crystals; these are the alternate explanations offered by the most prominent Darwinists on how life began. To these absurd theories, Stein comments, "I thought I would get science by talking to these people, not science fiction." He also successfully exposes the anti-religious agenda of many of these atheist-scientists. One even calls religion "evil." The only shortcoming of the film is that it lacks any criticism of Darwinism itself. Stein interviews tons of people who were fired for questioning Darwin, but does not himself demonstrate why Darwin should be questioned. He doesn't bring up the lack of transitionary fossils, or the fact that a textbook geologic column does not exist. We are left feeling that Intelligent Design should be more thoroughly investigated, but are not told what is so false or wrong about Darwin's views. If you are looking for a film to debunk evolution, this is not it. But, I think that it was not Ben Stein's point to debunk Darwin. He was essentially trying to show two premises (1) there is an active academic persecution of those who question Darwin, and (2) Darwinism has agendas that go beyond simple science. As far as demonstrating these two points, this film is excellent. Throughout the film, the image of the Berlin Wall is evoked as a metaphor: the wall is there to keep out threatening ideas, in this case, the idea that Darwin could have been wrong. The task this film attempts is to make people know that the wall exists, and warn us all where this type of censorship can lead us. I encourage everybody to go see this film. I give it two out of three papal tiaras. Hey everybody! I am sorry I am so busy this week and have not hand much time to post. I have kids to prepare for First Holy Communion and am quite preoccupied. By the middle of May I should be back to posting daily (hopefully), and we will see much more from Anselm as he wraps up his first year at the International Theological Institute in Gaming, Austria. In the meantime, I thought I'd like to put your theological skills to the test. Please watch this three minute video (courtesy of Mr. S) and then comment on why the view of salvation presented here is faulty (or, if there is anything positive in the video, point that out as well). I have often wondered to myself, is the problem with people's spiritual lives (including my own) that we think too highly or that we think too lowly of ourselves? Everybody has an interior voice, a voice which consists of a continual commentary of everything we do and say. For some people, the voice is saying, "You are no good, you are a failure, you'll just screw up again." To others, the voice says, "You're the best, better than that other guy. You deserve all the credit." I wonder, which of the two is more common? More importantly, which of the two is more dangerous? These days, it seems to me that modernist-conventional wisdom is saying that having too low and opinion of yourself is the more dangerous thing. 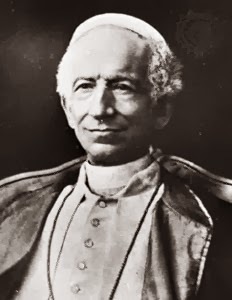 There is a great solicitude, both in the world and in the Church, to make sure that everybody has positive self-esteem, is at peace with themselves and doesn't feel bad about the things they have done. Even if Confession is encouraged, we are admonished to forget all about our sins afterwards and be at peace with ourselves. Has any body noticed anything like this? This falls a little short of the secular-psychological insistence that we "forgive ourselves," but it is in thr same vein as far as promoting self-esteem as an unconditional positive good. Scripture: The Scriptures contain innumerable admonitions to be humble and abase oneself, but I cannot think of one place where they dissapprove of someone being too humble. Spiritually: It is safer to be too low and have to be raised up than to be too high with pride and have to come down. As the Gospel says, "He told a parable to those who had been invited, noticing how they were choosing the places of honor at the table. "When you are invited by someone to a wedding banquet, do not recline at table in the place of honor. A more distinguished guest than you may have been invited by him, and the host who invited both of you may approach you and say, 'Give your place to this man,' and then you would proceed with embarrassment to take the lowest place. Rather, when you are invited, go and take the lowest place so that when the host comes to you he may say, 'My friend, move up to a higher position.' Then you will enjoy the esteem of your companions at the table. For everyone who exalts himself will be humbled, but the one who humbles himself will be exalted" (Luke 14:7-11). 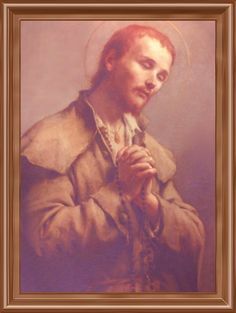 Catholic Encyclopedia: Defines humility as"A quality by which a person considering his own defects has a lowly opinion of himself." St. Francis of Assisi: "Who are You, O blessed Lord, and who am I—Your servant and a worm of earth." Pope Clement XI: "Give me, good Lord, a love of You, hatred of myself, zeal for my neighbor, contempt of the world." St. Bernard: Defines humility as "A virtue by which a man knowing himself as he truly is, abases himself." St. John Climacus: Referred to himself as "so miserable a sinner, destitute of every sort of virtue." If these are the sort of things the saints said about themselves and about humility, who are we to water down their definitions, gained by spiritual insight after much penance, for the sake of appeasing modern pop-psychobabble? There are many more examples than this, so many so in our Tradition that it is tedious to list them all. But, the Scriptures, principles of spirituality and the writings of the saints speak clearly: the ideal in Christian life is to have a lowly opinion of oneself, even to the point of contempt and disgust for our sinfulness, so that in this humility, Christ can tell us to "come up higher." Nowhere are we exhorted to forgive ourselves, worry about positive self-esteem, or be afraid of having a too lowly opinion of ourselves. Those opinions are novelties. One week from tomorrow, on the Feast of St. Catherine of Siena, my diocese will have a new bishop installed, Bishop Earl Boyea, formerly Auxiliary Bishop of the Archdiocese of Detroit. 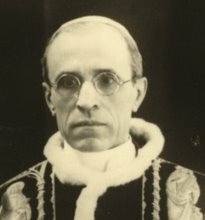 I'm sure many of you know about this site already, but at Catholic Hierarchy you can look up every member of the hierarchy, see their biographical information, follow up on what bishops died and are appointed every single day and get many other interesting tidbits of episcopal minutae. The list ends at Cardinal Rebiba. Try looking up your bishop! 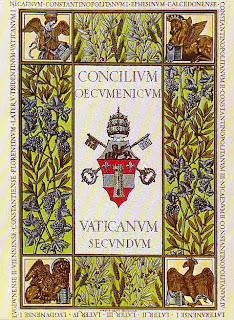 Today is the III Class Feast of St. Anselm, and it is also the 99th anniversary of Pope St. Pius X’s Encyclical Letter Communium Rerum (On St. Anselm of Aosta), itself issued on the 8th Centenary of St. Anselm’s death in 1109. 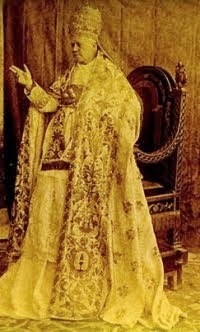 I lieu of writing any meagre words of my own in honor of this great saint, whom I have chosen as a theological patron, I offer to you some selections from the saintly pontiff Pius X (do follow the link and read the whole encyclical though). The pope highlights two things in particular about St. Anselm: his tireless fight for the liberty of the Church (he lived in the era of the investiture controversy), and against false philosophy. The pope sees in Anselm a man for our own times, in which also the Church is besieged by those within and those without. The enemies of the Church without (especially in the late 19th and early 20th centuries) set the rights of the Church at naught and the enemies of the Crhuch within spread the pernicious heresy of modernism everywhere they go. 46. There was at the time a class of lightminded and vain men, fed on a superficial erudition, who became incredibly puffed up with their undigested culture, and allowed themselves to be led away by a simulacrum of philosophy and dialectics. 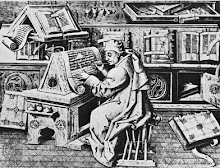 In their inane fallacy, which they called by the name of science, "they despised the sacred authority, dared with impious temerity to dispute one or other of the dogmas professed by Catholic faith . . . and in their foolish pride considered anything they could not understand as impossible, instead of confessing with humble wisdom that there might be many things beyond the reach of their comprehension. . . For there are some who immediately they have begun to grow the horns of an overweening knowledge - not knowing that when a person thinks he knows something, he does not yet know in what manner he should know it - before they have grown spiritual wings through firmness in the faith, are wont to rise presumptuously to the highest questions of the faith. Thus it happens that while against all right rules they endeavor to rise prematurely by their intelligence, their lack of intelligence brings them down to manifold errors" (S. Anselm., De Fide Trinitatis, cap. 2). And of such as these we have many painful examples under our eyes! 55. ...Anselm laid the foundations of the true principles of philosophical and theological studies which other most learned men, the princes of scholasticism, and chief among them the Doctor of Aquin, followed, developed, illustrated and perfected to the great honor and protection of the Church. If We have insisted so willingly on this distinction of Anselm, it is in order to have a new and much-desired occasion, venerable brethren, to inculcate upon you to see to it that you bring back youth, especially among the clergy, to the most wholesome springs of Christian wisdom, first opened by the Doctor of Aosta and abundantly enriched by Aquinas. I saw a Catholic woman today who told me she had just come back from seeing the Dalai Lama. I jokingly asked her if she had thrown some water on him when he wasn't looking and said the words of baptism. She laughed, but told me that in his talk today (4/20), he related to the crowd how he had visited to shrine at Fatima to venerate Mary. There, he claims that the statue of the Blessed Virgin turned her head and smiled at him (!). Then, he followed that story up with these astonishing words: "I am a Christian!" First, my new article is up on The Contrarian's Review, entitled Understanding & Tolerance. 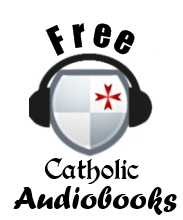 Please check it out here, and remember to look at the excellent articles by the other contributors, including my friend Athanasius from Athanasius Contra Mundum. Second, relating to our discussion on here the other day about whether or not the old Mass was capable of giving more grace than the new, Anselm has obtained permission from Latin Mass Magazine to post an online copy of an article by Fr. 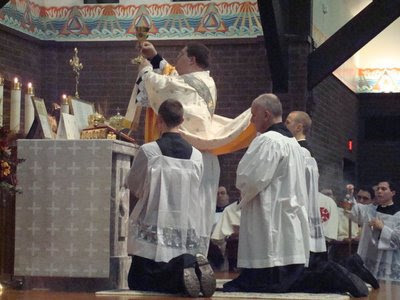 Chad Ripperger, FSSP, entitled "The Merit of a Mass." This is an excellent article that goes into exactly what I was talking about the other day. Anselm got special permission to put it up, so click here to read the only available version of it on the web. The Olympics have been in the news this week with the dowsing of the Olympic torch in paris followed by the massive demonstrations in San Francisco earlier in the week. All of the protests revolve around the fact that China has a terrible human rights record. Protestors feel that as a result, at the very least certain nations ought not to attend the opening ceremonies, and at the most China ought to lose the Olympics. 1) Chinese suppression of Tibet and the Tibetans aspirations for autonomy. 2) China's steadfast but unpopular support for the Sudanese government in the Darfur crisis. 3) China's repression of intellectuals within China and its censorship of Internet access. 4) It's persecution of the ethnic Hmong minority. 5) China's support for the repressive military regime in Burma. Well, if we are talking about human rights abuses, did anybody notice a glaring omission in this list? Out of all the interviews and articles I looked at on this, not a single person mentioned China's horrendous one-child policy and their barbaric practice of forced abortion. China's own government estimates that it has aborted 250 million children since the instituion of the one child policy in 1979 (they use the phrase "prevented births"). It is unknown how many of these abortions are forced, but the stories of women being forcibly dragged to abortion clinics are many. A recent photo smuggled out of China, which showed a still-warm corpse of a dead female infant lying in a gutter in Hunan province, caused outrage around the world. Note on the below map, that in China's most populated areas, almost 50% of all pregnancies end in abortion. However, none of the protesters have made an issue out of this most obvious and fundamental of all human rights abuses. Why? I'm not sure, but I looking at the other grievances (Darfur and Tibet), I see that they are issues that liberals tend to take up, and liberals certainly are not going to get out in the street about Chinese abortion. It is classic liberal mentality to get outraged about the oppressed Hmong of China but not care about the oppressed Christians of Turkey. They can enthusiastically wave "Free Tibet" signs but would balk and the demand to "Free Constantinople." Unless people, of any political stripe, are willing to call China on the carpet for its barbaric abortion policies, then any other gripes about human rights abuses are farcical and hypocritical. 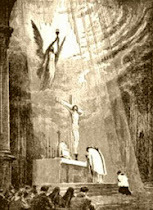 Dear Members of the Latin Mass Community: Christ is Risen & Lives Forever! As Msgr. Marc Caron, the chancellor of the Diocese, announced to you some weeks past, Bishop Richard Malone has honored me with the newly created position of Chaplain to the Latin Mass Community in south-central Maine effective 1 July 2008. I look forward to serving and working with the faithful who are attached to the extraordinary form of the Roman liturgy. 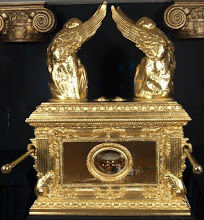 Initially, I will be celebrating Holy Mass in the extraordinary form every Sunday at 8:00 AM at the Basilica of Ss Peter & Paul in Lewiston and at noon at the Cathedral Chapel in Portland. Once the Chaplaincy is underway, additional Masses will be scheduled at other locations as the need increases and other priests are available. I also will be available to you for the celebration of the sacraments and sacramentals, including funerals, as needed. As Bishop Malone announced, the Chaplaincy will be funded by those benefiting from this ministry, and the Chaplaincy will continue only if there is sufficient funding to meet its expenses. The initial annual budget has been prepared, which I have approved and accepted. The budget for the first year is $72,000.00 and includes salary, room & board, health insurance and pension, travel expenses, church rental, office expenses, and other ministy (sic) expenses. Prior to 1 July, and before the Chaplaincy will begin, we are required to raise from contributions one-quarter of our annual budget, or $18,000.00. This initial funding is necessary to ensure that we will be financially independent and able to meet our weekly ongoing expenses as the Chaplaincy begins and grows. We must begin our fundraising efforts immediately to raise this initial amount. We have established an account at TD Banknorth in Lewiston that will be used exclusively for the Chaplaincy. Contributions to the Chaplaincy should be made by check payable to "St Gregory (the Great) Latin Mass Chaplaincy" and sent to the following address: Latin Mass Chaplaincy, Department of Ministerial Services, P.O. Box 11559, Portland, Maine 04104. Please be as generous as your means allow. After 1 July collections taken up at all the Masses of the Chaplaincy will go totally to the support of the Chaplaincy. Also the faithful will be able to register with the Chaplaincy and will have their own envelopes come the New Year. I will also be making regular financial reports to the community. I will be able to join you and address you after Mass on Sunday 20 April 2008 at the Cathedral to enlist your support for the many important tasks we must undertake in order to build the Chaplaincy so that it will be a vital, growing, and long-lasting ministry in the Diocese. I also hope to answer any questions you may have. Unfortunately I may arrive during the Mass as I must complete my duties in Sabattus first. I hope you will be able to stay for a short reception after Mass so that we may become personally acquainted. I thank all the priests who have served and who will continue to serve you. They have been a blessing from God. I look forward to meeting and serving you. May God prosper the work of our hands. Now, many are saying that this amounts to simony: buying and selling of spiritual goods. However, since the cost is listed as being for upkeep, rental of the Church, stipends, etc., I'm not so sure that it qualifies as simony canonically. But, a few things come up: first, are Spanish Mass communities or Vietnamese Mass communities being charged similarly? The answer is a resounding "no." In the parish in my home town, there is a weekly Spanish-language Mass for the Hispanic community in my region, many of whom do not belong to the parish where the Mass is held. This is provided for them free of charge because there is a priest on hand fluent in Spanish. Were the Diocese to charge these Hispanics $72,000 per year, there would be all kinds of accusations of racism, insensitivity, etc. Some may argue that the Spanish Mass communities or the regular NO communities are already paying their way in tithes and offerings, but then again, so are the Traditionalists, most of whom end up frequentling and tithing to NO churches who are traditional enough to be tolerable but not traditional enough to be satisfactory. What do you think: does this case amount to simony? Either way, it seems to be a definite road block being thrown in the way of the TLM in the Diocese of Portland. How should Catholics best respond to this situation? Holy Scripture affirms that man and woman were created for one another: "It is not good for man to be along." The woman, "flesh of his flesh," his equal, his nearest in all things, is given to him by God as a "helpmate; she thus represents God from whom comes our help (CCC 1605). I have read this section in the CCC before, but I never really noticed this passage before. 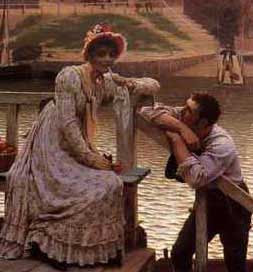 Is it asserting that in marriage, the woman represents God? If this is the case, I think this would be a very novel application of symbolism to the Sacrament of Marriage. Of course, in Scripture one thing can represent various other things, as a serpent can represent the devil or also Christ (as in the case of the bronze serpent of Moses). But what is the traditional symbolism attached to the marital union and is it consonant with the CCC's assertion that the wife represents God? Wives, submit to your husbands as to the Lord. For the husband is the head of the wife as Christ is the head of the church, his body, of which he is the Savior. Now as the church submits to Christ, so also wives should submit to their husbands in everything (v. 22-24). Husbands, love your wives, just as Christ loved the church and gave himself up for her to make her holy, cleansing her by the washing with water through the word, and to present her to himself as a radiant church, without stain or wrinkle or any other blemish, but holy and blameless. In this same way, husbands ought to love their wives as their own bodies. He who loves his wife loves himself. After all, no one ever hated his own body, but he feeds and cares for it, just as Christ does the church— for we are members of his body. "For this reason a man will leave his father and mother and be united to his wife, and the two will become one flesh." This is a profound mystery—but I am talking about Christ and the church (v. 25-32). I think it is painfully obvious that the man represents Christ. As such, the woman is said to be in submission to the man. Now, here is the question: if it is clear that the man represents Christ, if the woman represents God, as CCC 1605 says, then what type of symbolic imagery are we creating? If we take the CCC's passage on the wife and St. Paul's passage on the husband representing Christ, then we are left with the absurd symbolism of God being in submission to Christ, as it clearly says that the wife (who "represents God") is to be in submission to the man (who represents Christ). Then the end will come, when he hands over the kingdom to God the Father after he has destroyed all dominion, authority and power. For he must reign until he has put all his enemies under his feet. The last enemy to be destroyed is death. For he "has put everything under his feet." Now when it says that "everything" has been put under him, it is clear that this does not include God himself, who put everything under Christ. When he has done this, then the Son himself will be made subject to him who put everything under him, so that God may be all in all (v. 24-28). In looking at these passages, in which Christ's submission to the Father is emphasized, one can see the absurdity of equating the woman with God in the marriage. Tradition has constantly asserted (following Paul's plain words in Ephesians 5) that the wife represents the Church, not God, and that the husband represents Christ. Otherwise, the wife's submission to the husband would not make any sense; why would "God" submit to "Christ"? I don't know what the writers of the CCC were thinking when they said that the woman represents God. I don't think it is heresy to make such an assertion, for when we talk about biblical symbolism we are not talking about dogmatic statements. But I do think it is a reckless and stupid conclusion to draw and not consonant with the clear words of Scripture and the way the Fathers and the Church has always interpreted the relationship of man and woman in Matrimony.